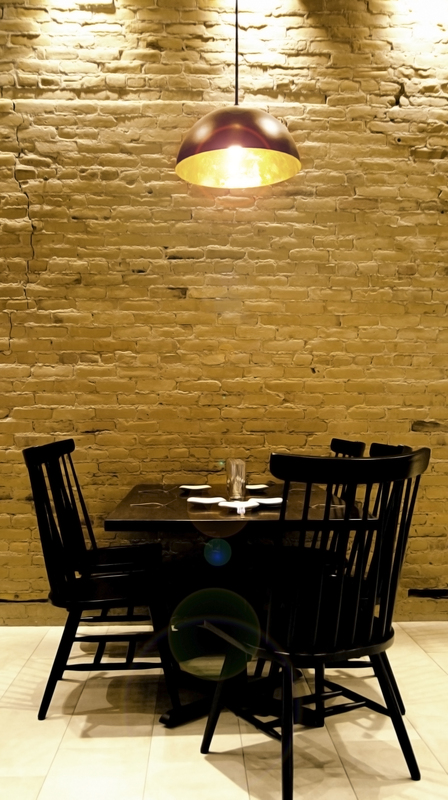 The Bisl Restaurant is located on Main Street in Bozeman’s historic downtown. Owners and Executive Chef’s are a husband and wife duo that work to provide their customers with sophisticated flavors that respect Montana traditions and experiences. 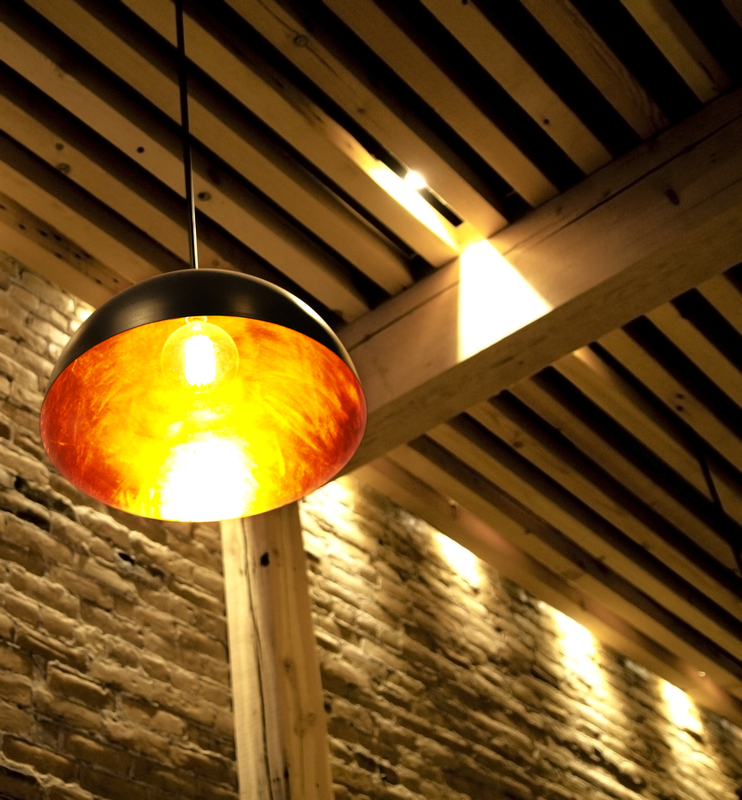 The architecture supports the cuisine by creatively managing light/sound and utilizing natural materials indigenous to Montana. The whole experience leads to an open kitchen, where guests can dine next to the chef’s that are preparing their meal. 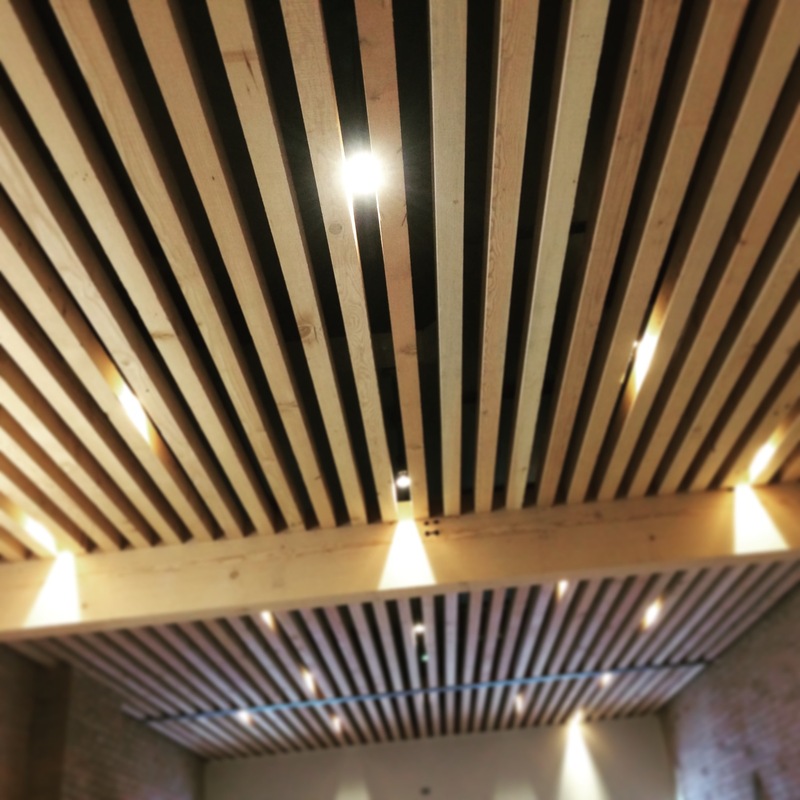 Please follow the Design & Build story of the Bisl Restaurant as we develop custom details like a modern timber ceiling, stone bar top, patterned wood benches and more! 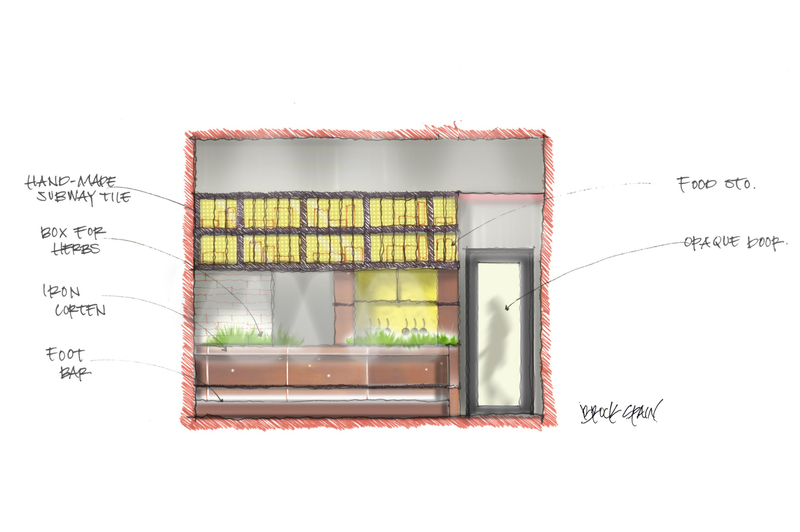 With the added color, it is effortless to envision what this restaurant will look like. 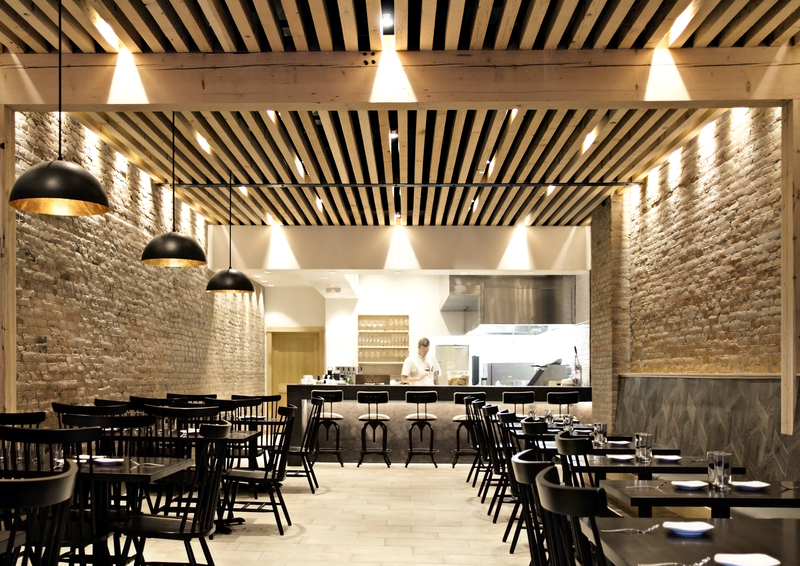 This bar is uniquely designed to accommodate guest and chef interaction. There are several designed, built-in storage compartments in the bisl kitchen. It is important to keep an open kitchen well organized. 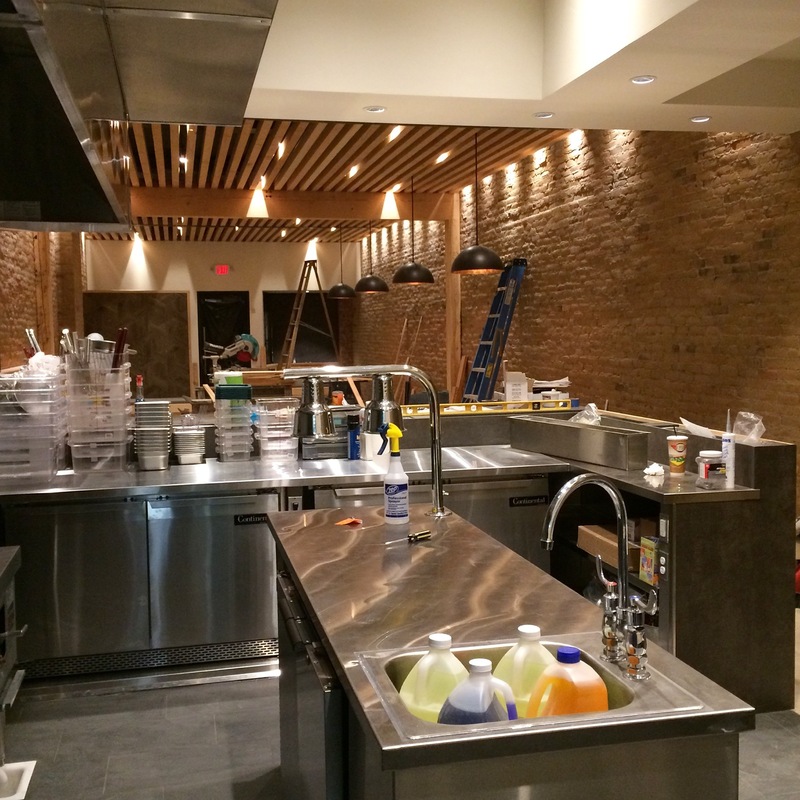 Guests are able to view the bisl kitchen and its chefs from two sides. 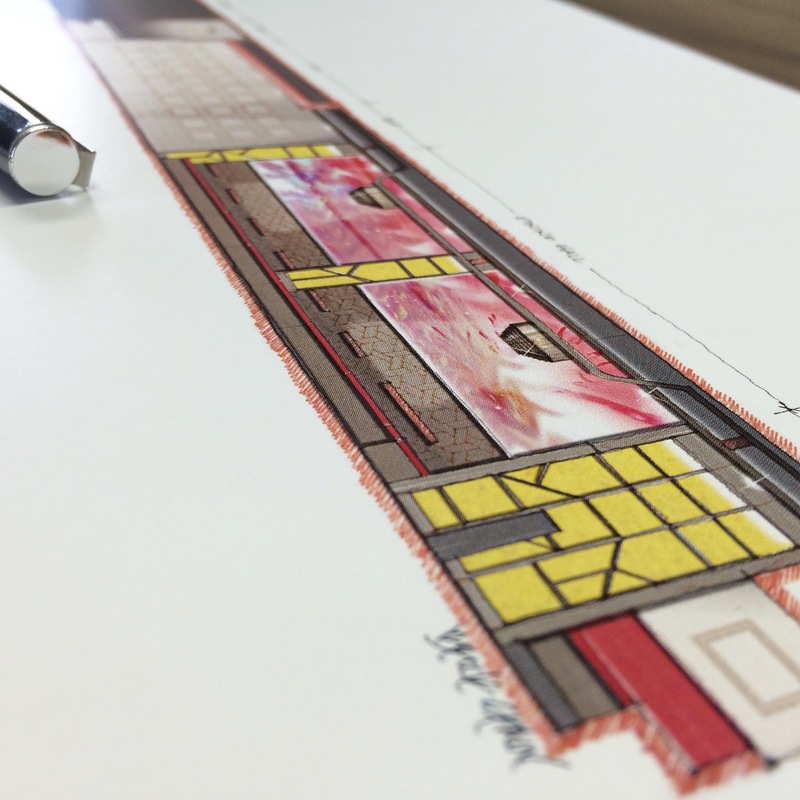 This colored sketch was completed to communicate material changes across the entire restaurant. 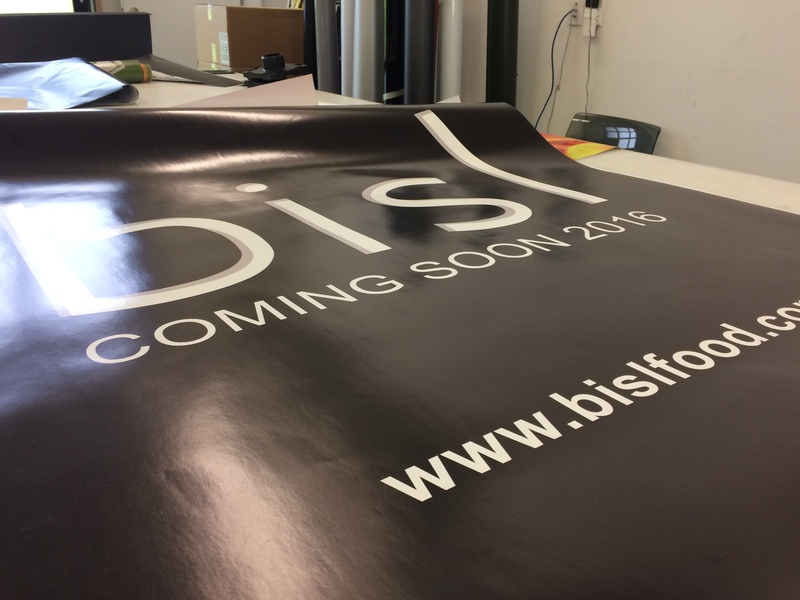 It was also used as a bisl marketing tool. 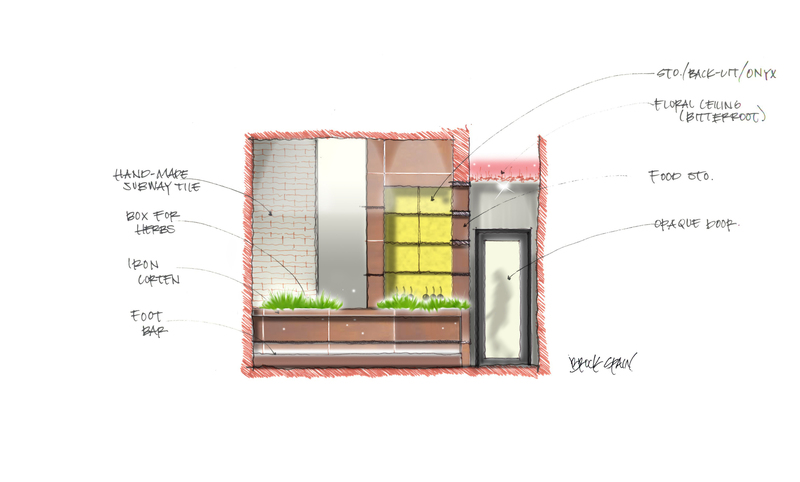 This is an early concept sketch of the front facade. 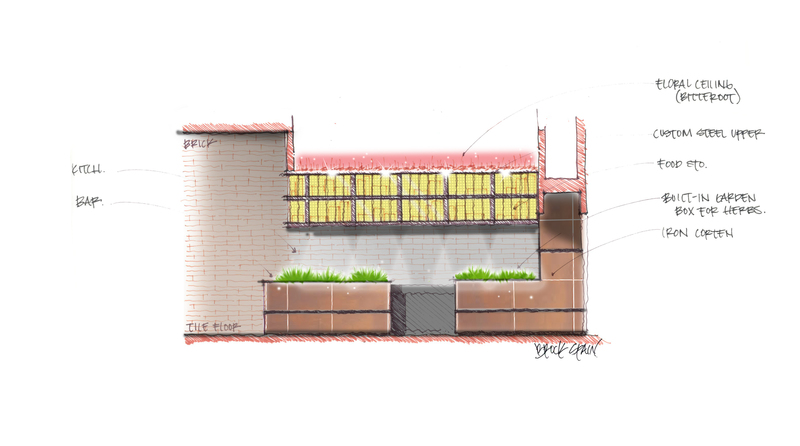 Closing up the windows on a Main Street Bozeman facade requires finesse. No cardboard for us. 33 West Main Street was Poor Richards Tobacco Shop. 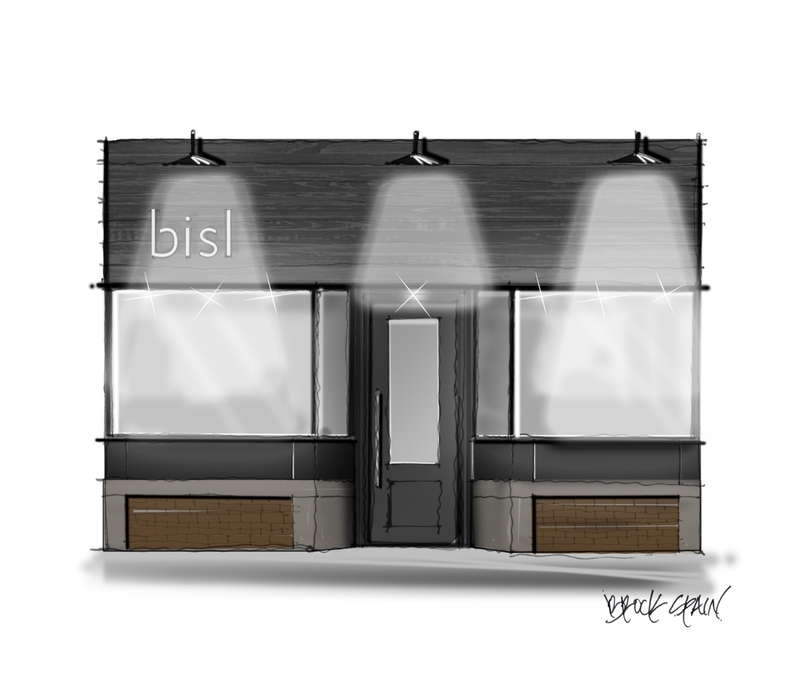 When BKS is finished it will be the Bisl Restaurant. 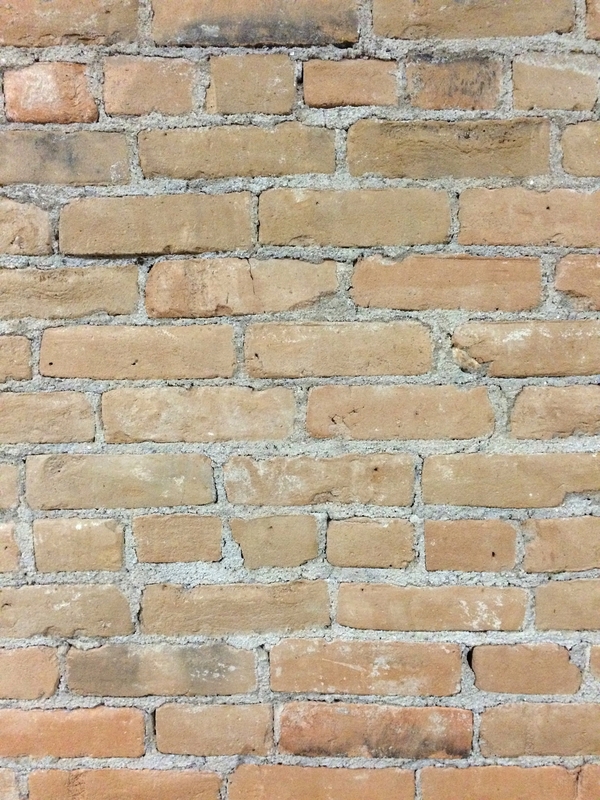 We are restoring the original brick walls built by Montana craftsman in 1912. 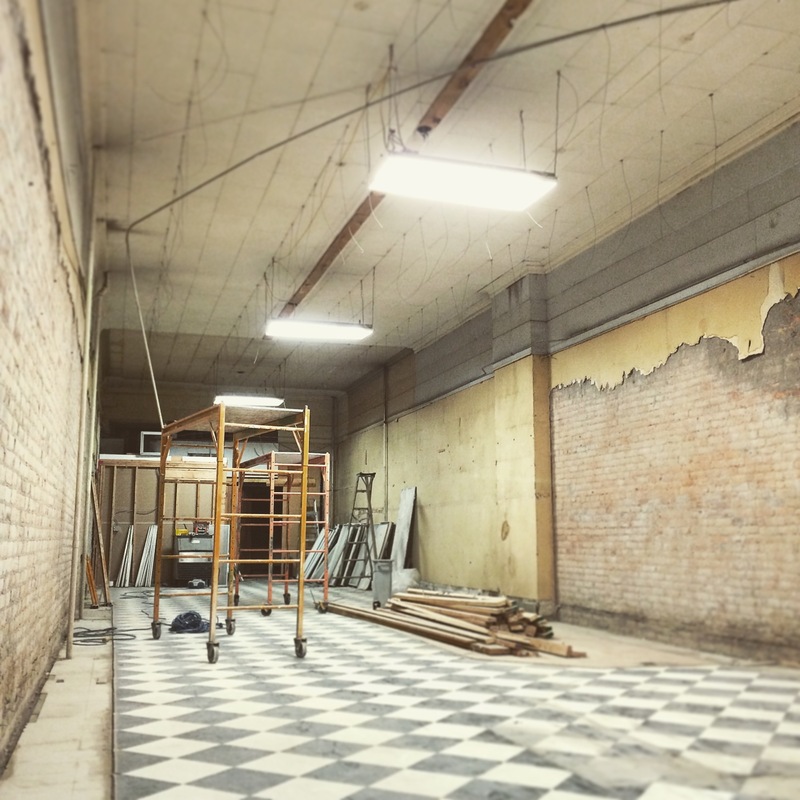 The ceiling height was dropped to 8'-0" but we are restoring the original 14'-0" ceiling height. 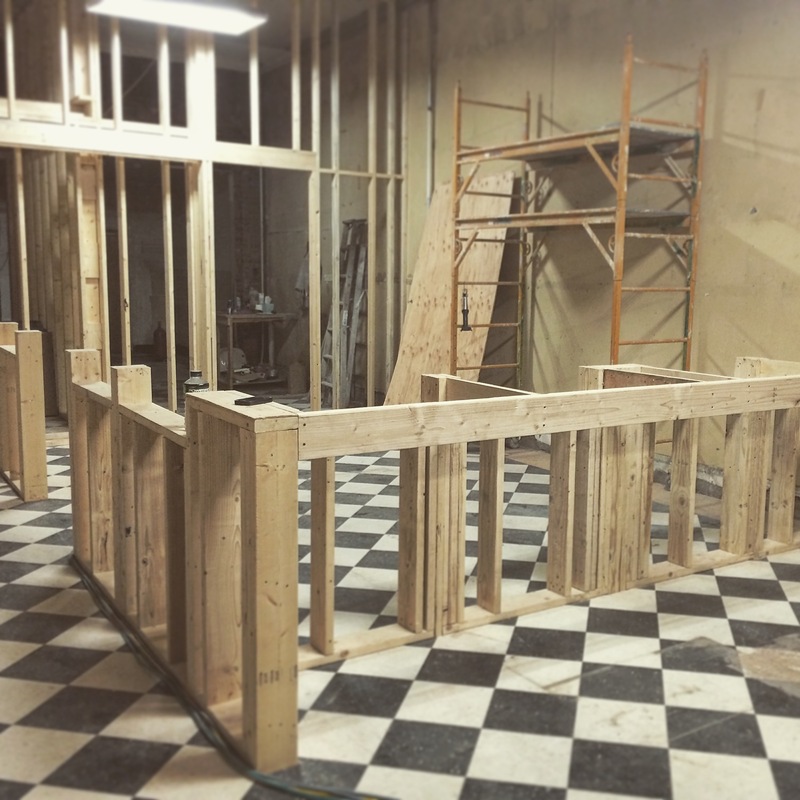 Kitchen bar framing is complete. 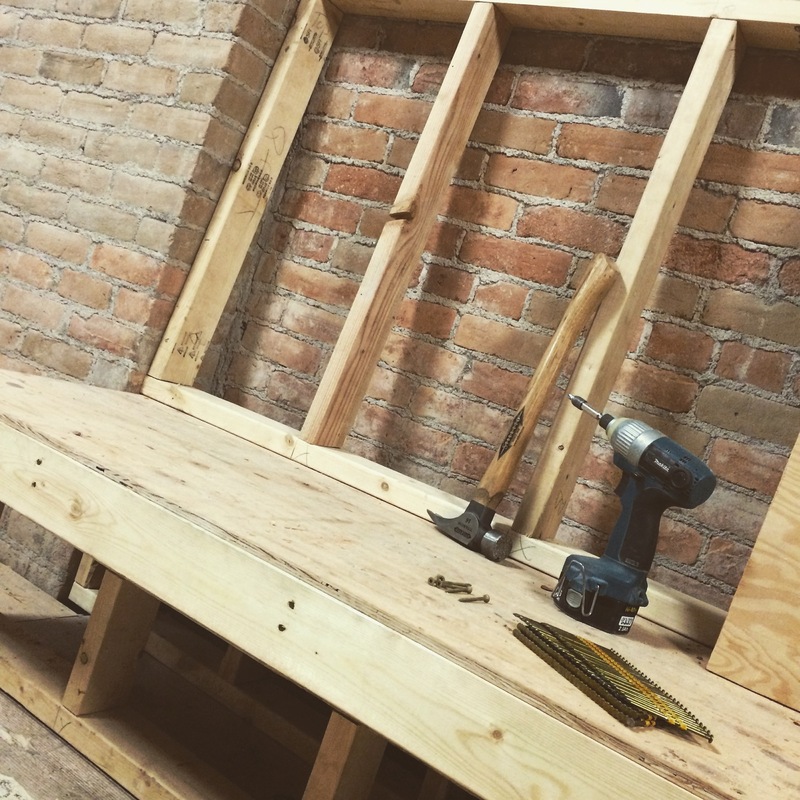 Nothing is straight on these old buildings so we've taken special care to start off level, plumb, and square. 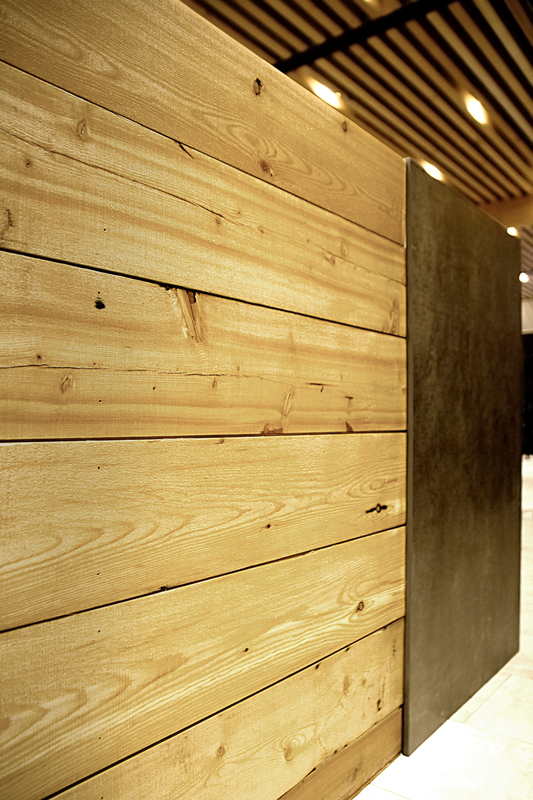 This hard surface material will be used to clad the entire bar. 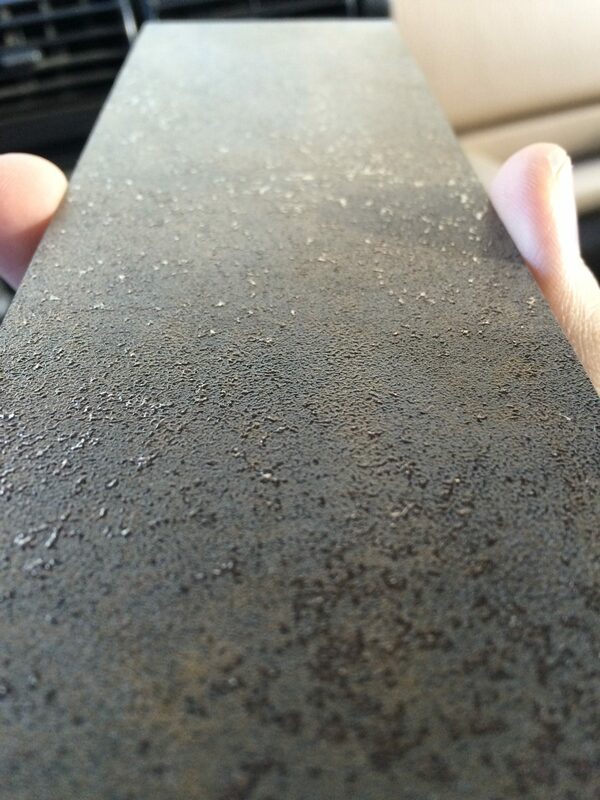 It is non-porous and extremely durable. It also looks incredible. Stainless steel trays will line the recesses of this frame. Seasonal herbs can grow in these trays for garnishing meals directly from the plant. We've designed this bench seating to be upholstered with 3" luxury foam and the back rest is angled slightly for maximum comfort. 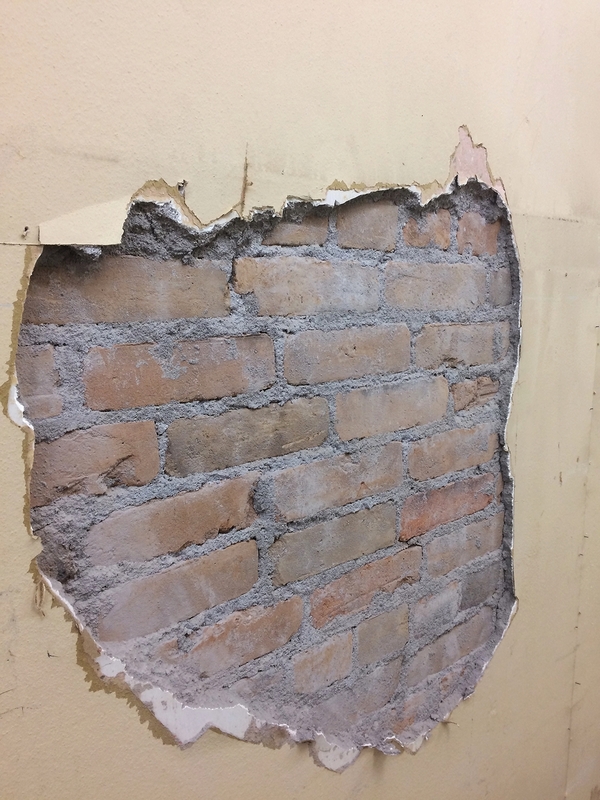 Unearthing this 70 year old brick was like unearthing a buried treasure. We are protecting it with a satin sealer called QuickSeal. 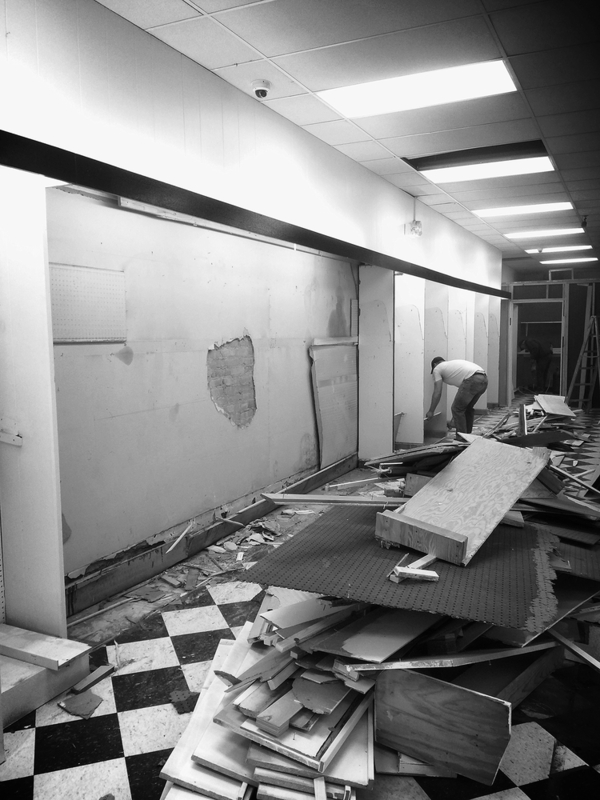 Demolition is complete and we are beginning construction on the new Bisl Restaurant. 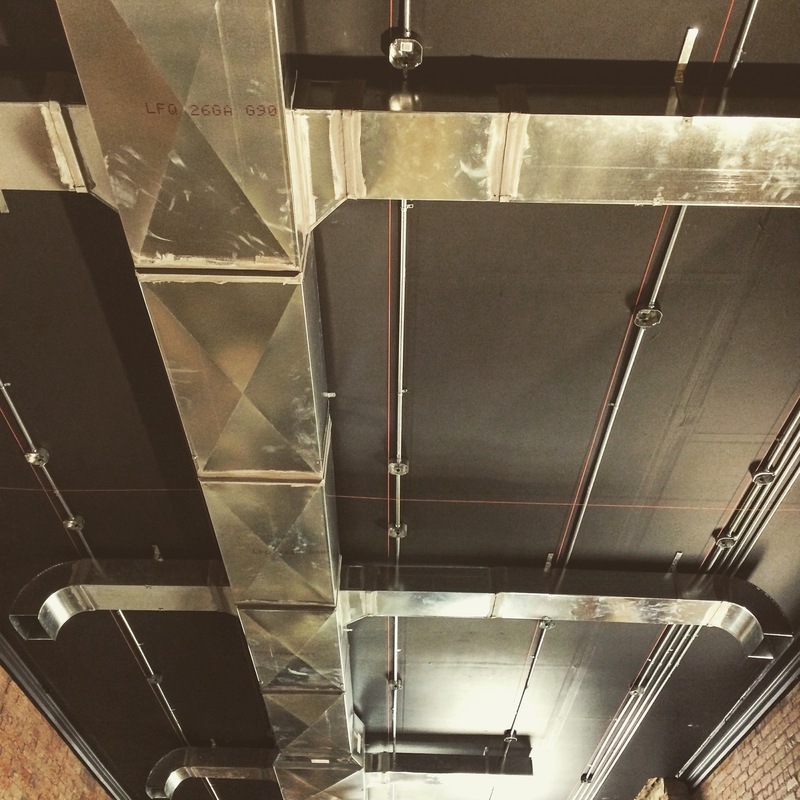 The ceiling has taken months to design and involves at least 10 separately orchestrated trades. 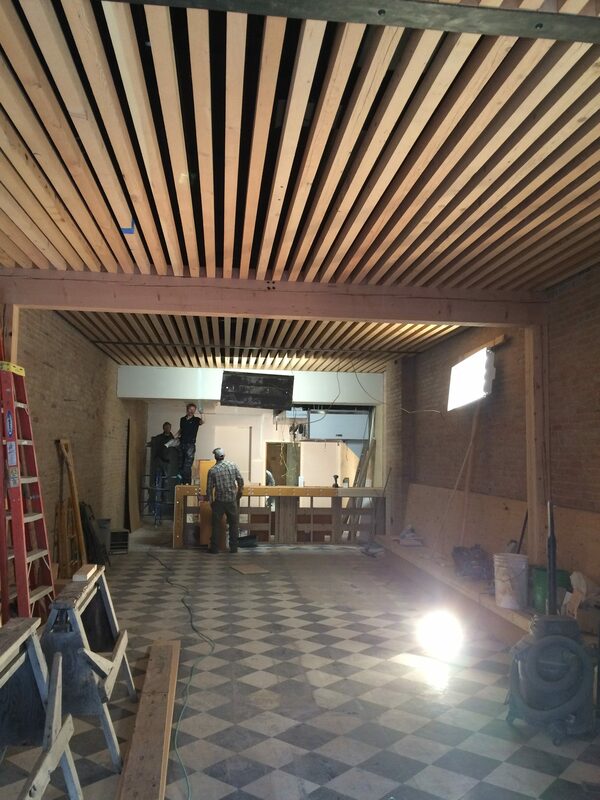 It will heat, cool, light, play music and control acoustics in the dining hall. In the end, you won't see any of this equipment but the craftsmanship is beautiful. 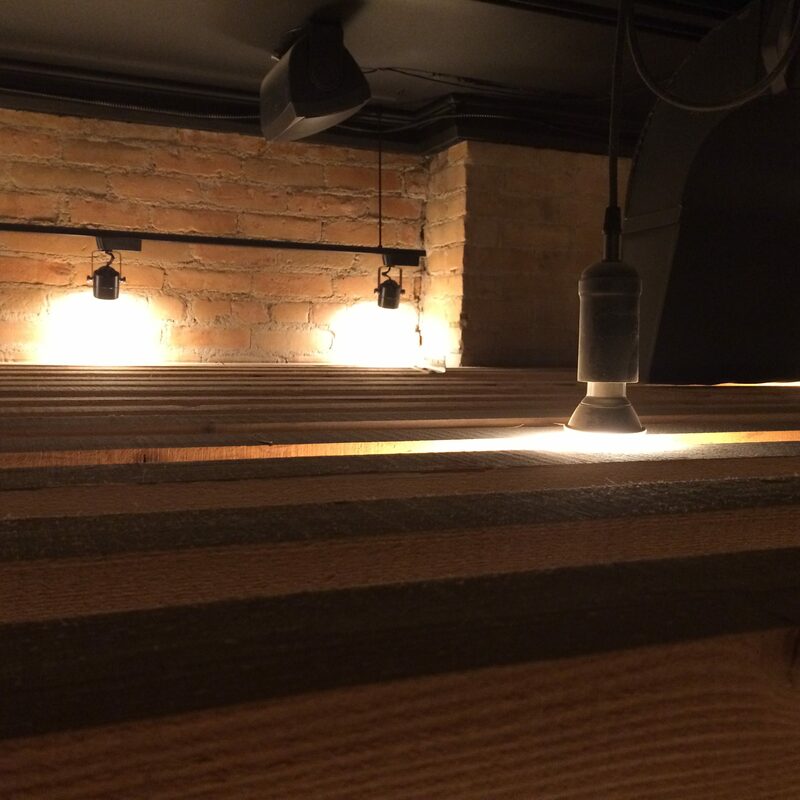 These lights, designed to show through the wood beams were put in place for the grand opening of the restaurant. 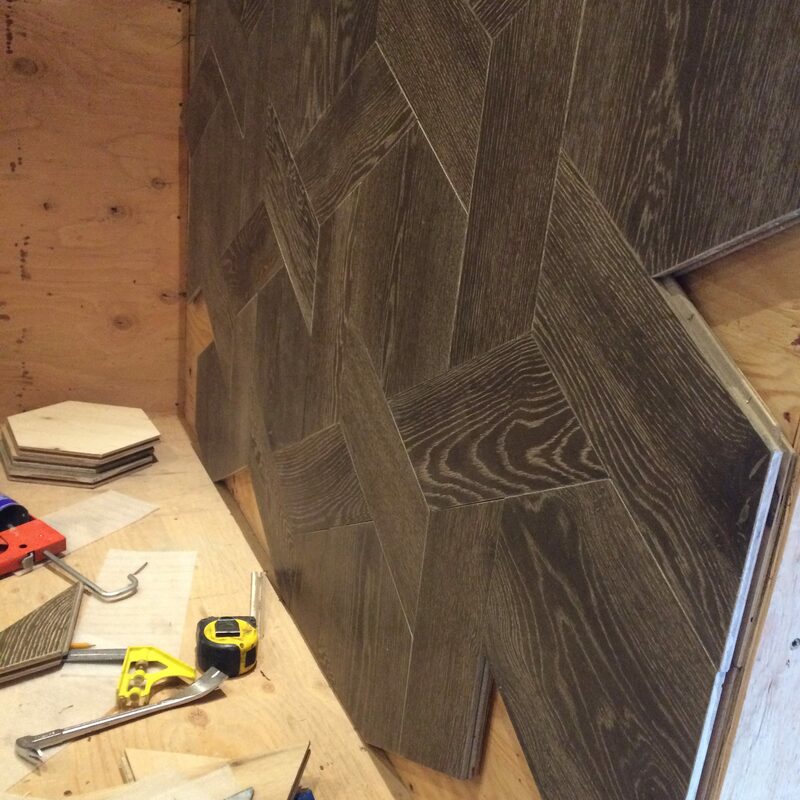 Taking advantage of opportunities for custom work really make our projects stand out. 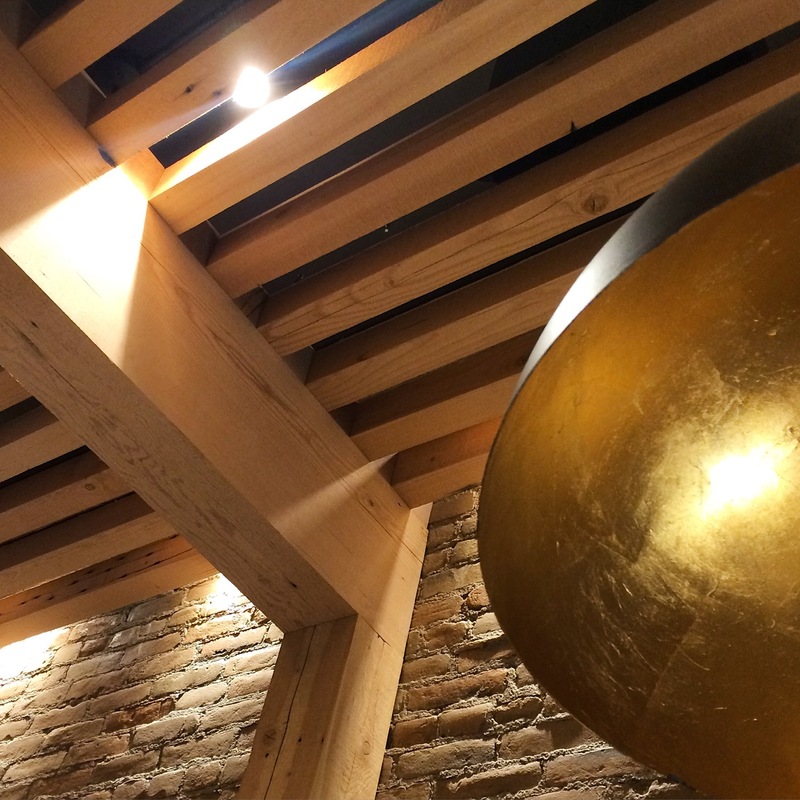 The acoustic ceiling at Bisl Restaurant was designed and built to be a 100% Montana original. 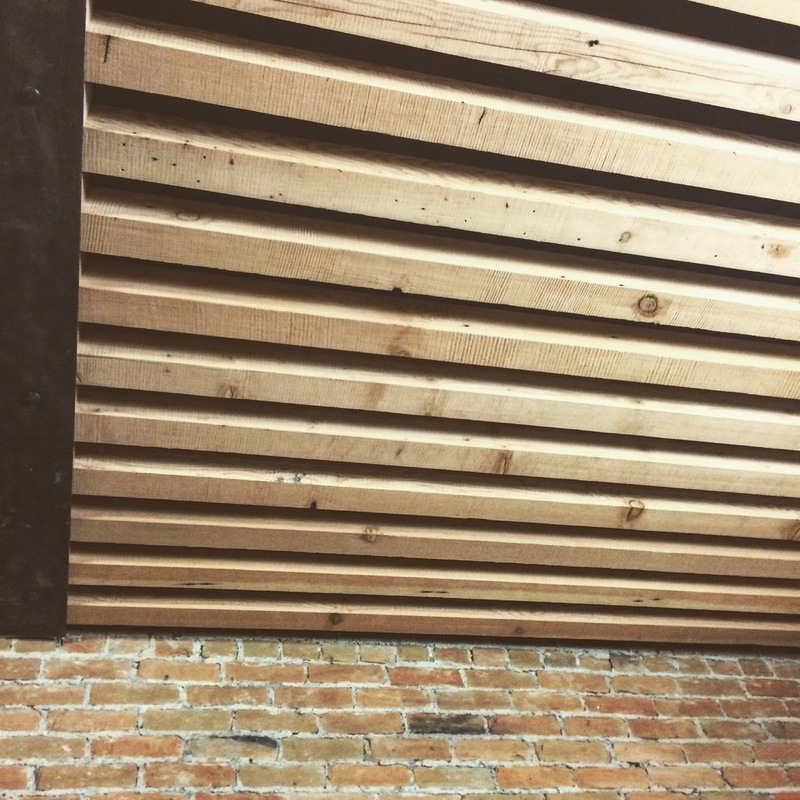 Reclaimed timbers harvested, cut and installed by Montana craftsman. 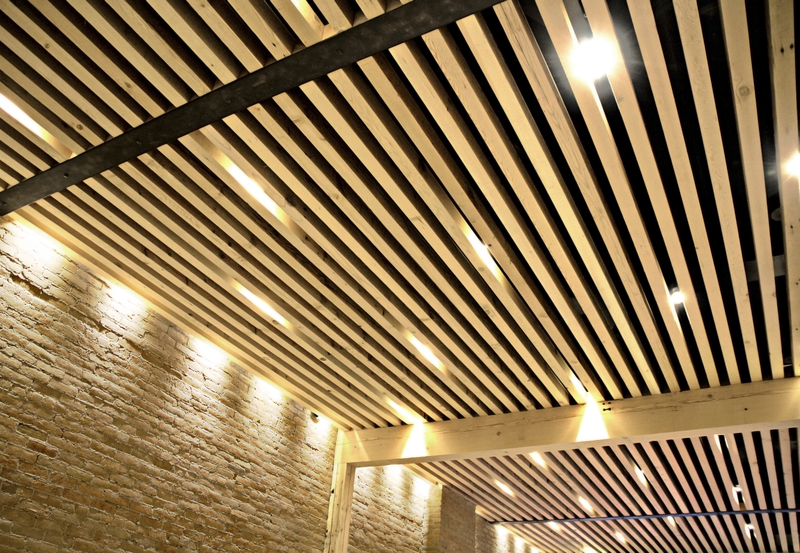 Montana sourced, real-wood ceiling complete with LED lighting above and steel accents. 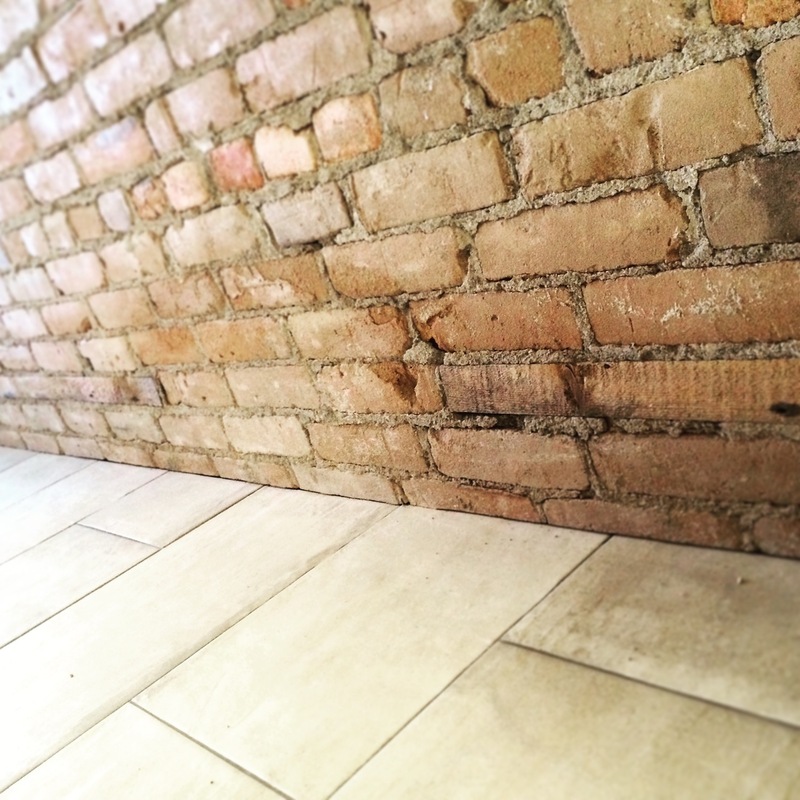 112 year old brick wall meets new tile floor. What a week! The goals was to get Bisl in the kitchen and we made it. 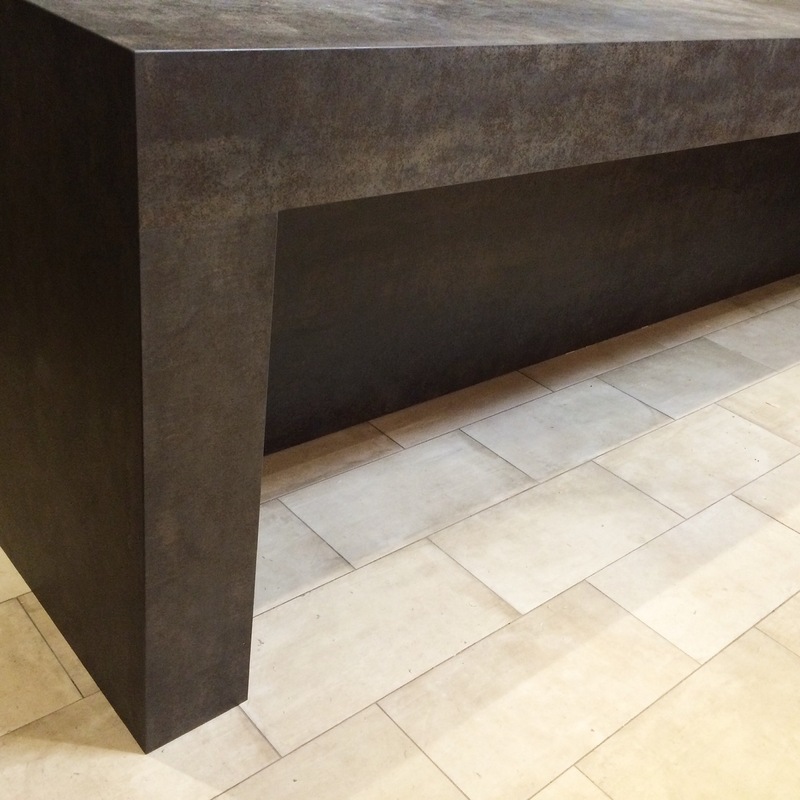 The open kitchen theme is coming together with this modern bar top install. 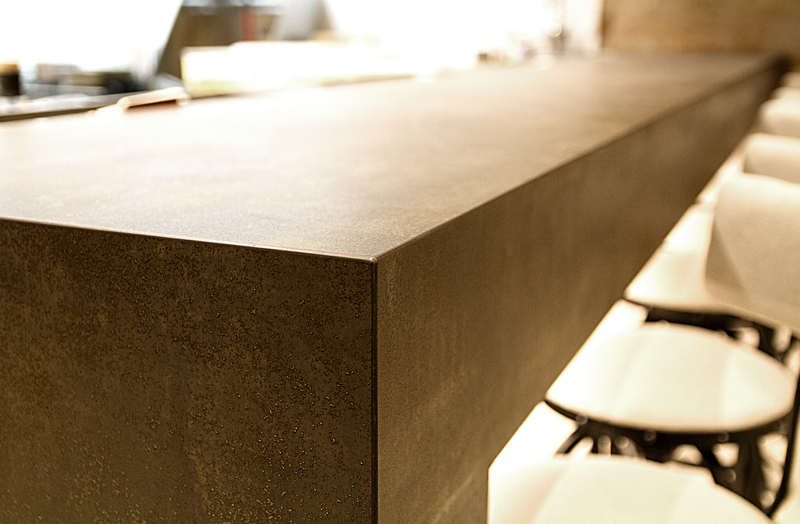 So grateful for this beautiful solid bar top. 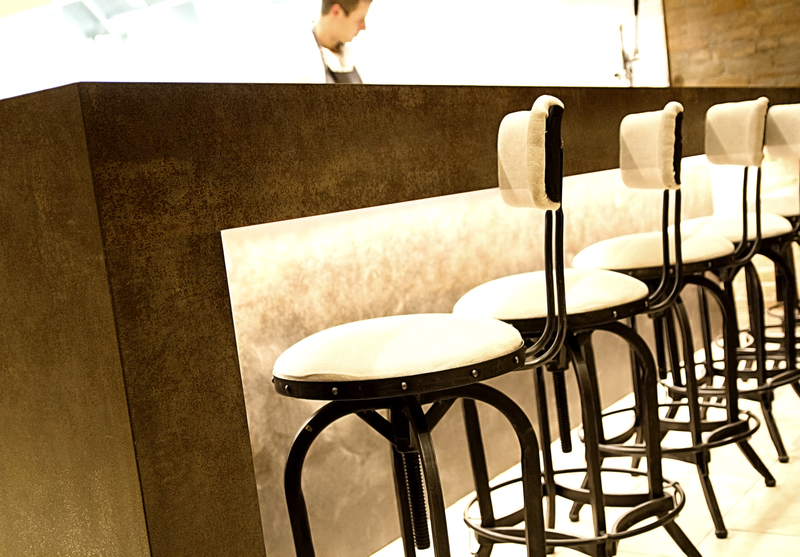 Comfortable seating at this bar top allows the client to watch their food be made. A very unique, fun experience. 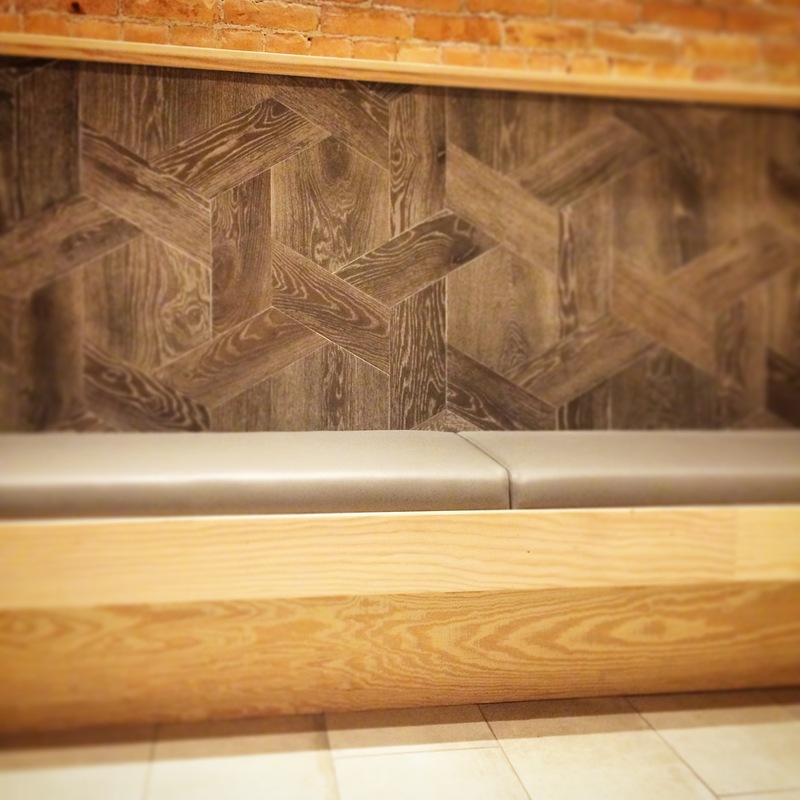 Comfortable, spacious seating in a tight area is never an easy task. However, we are proud of outcome at bisl. 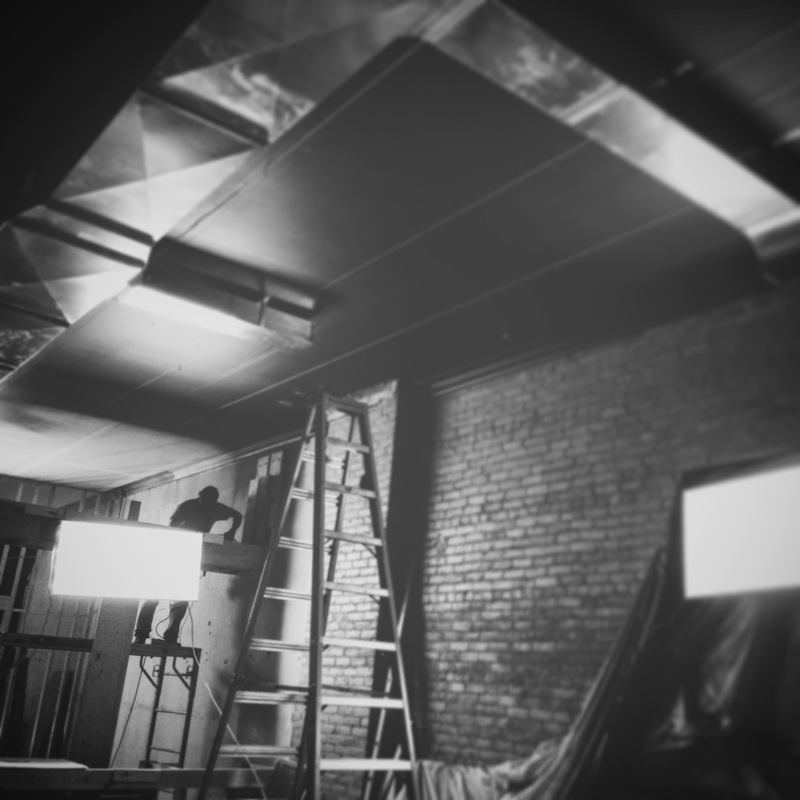 Adjusting lights at the bisl restaurant for tomorrows soft opening. 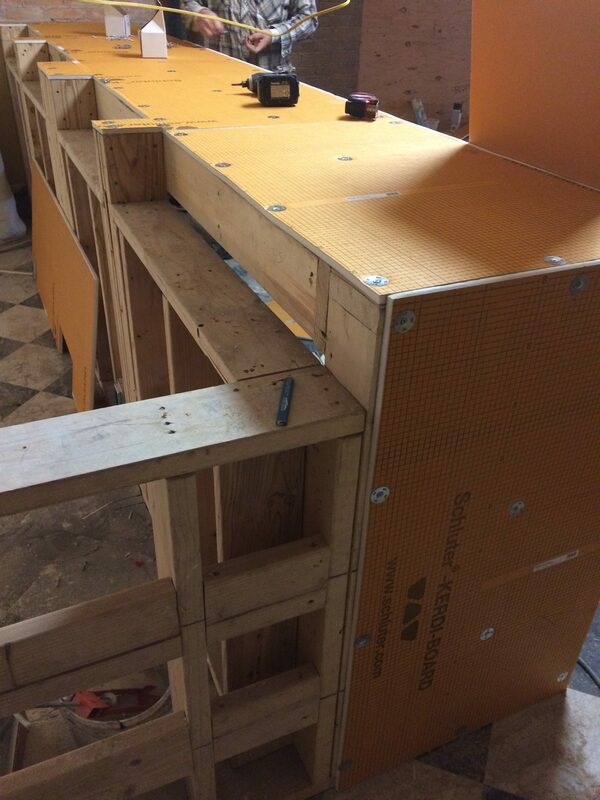 These seats are one of many 100% custom design & build projects at bisl. 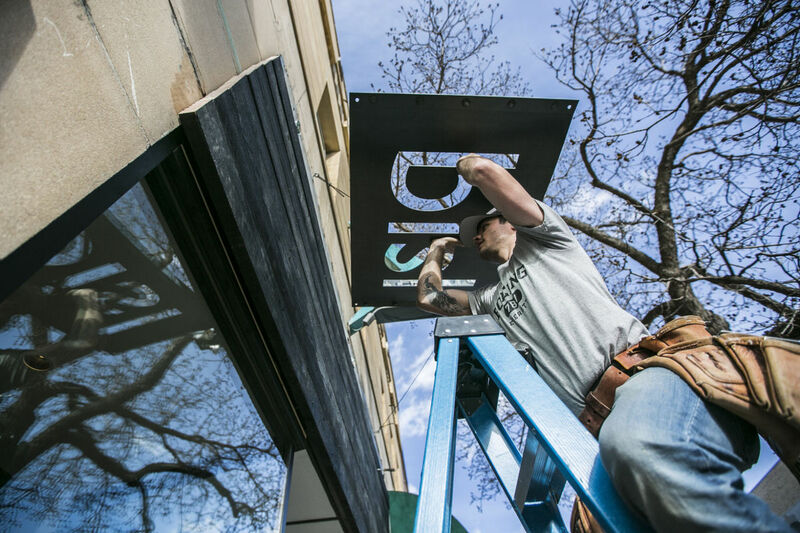 We were honored to be featured in the Bozeman Daily Chronicle for our work on bisl foods.